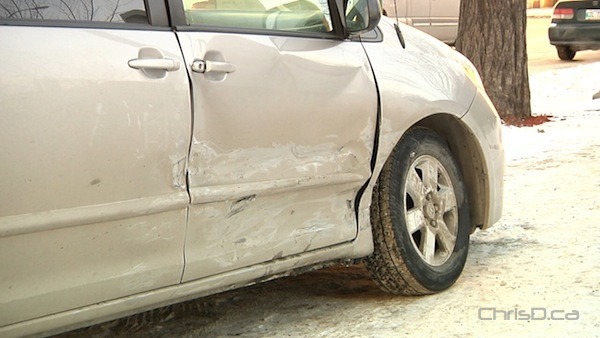 A two-vehicle collision blocked traffic Monday afternoon in downtown Winnipeg. The crash between a car and a minivan happened at the intersection of Broadway Avenue and Fort Street just after 3 p.m.
No one was injured in the crash, which was cleaned up shortly after. Fortunately, due to Louis Riel Day, traffic in the area was relatively light at the time.